The term ‘cafe racer’ actually originated amongst motorcyclists from the London area in the early 1960s when bikes were used for short, quick rides between cafés. These lightweight bikes were designed for speed, agility and handling rather than comfort – hence the relatively short distance covered before the need to stop for a brew. 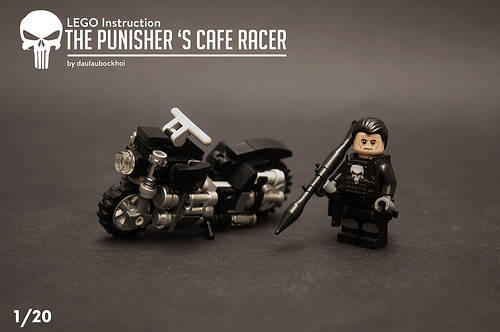 BenFifteenTheChicken has built a LEGO version of the cafe racer owner by Marvel’s The Punisher character, it’s a fun little build with some clever techniques to capture the bike in minifigure scale. 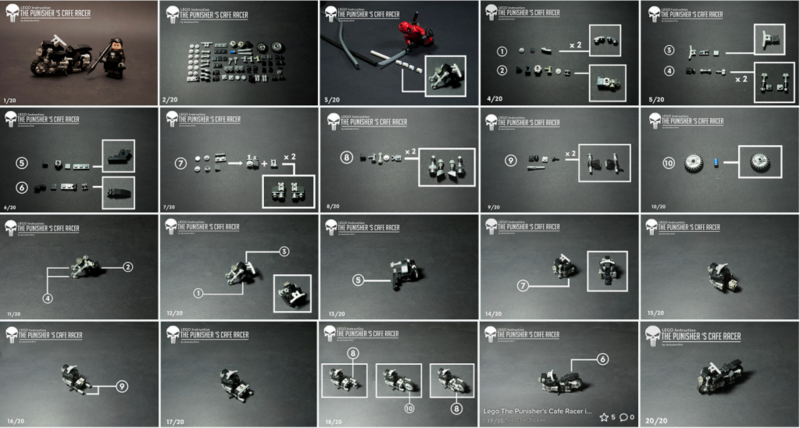 Ben has kindly provided instructions to allow you to build your own cafe racer and the parts list is shown. 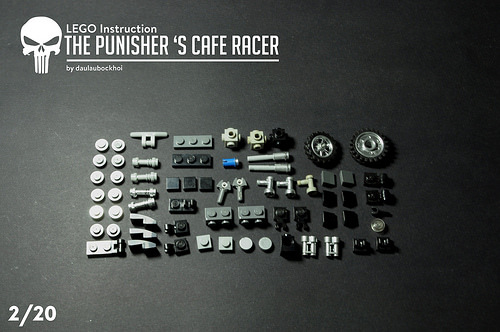 Don’t worry if you do not have all the parts in the correct colours, just use the pieces you have and enjoy building a unique cafe racer for your own minifigures. Clicking the image below will take you to the album for the 20-page set of building instructions.